The children are encouraged to extend their vocabulary and fluency by talking and listening, hearing and responding to each other, stories, songs and rhymes. Coat pegs are named and the children have name cards to help them with name recognition. 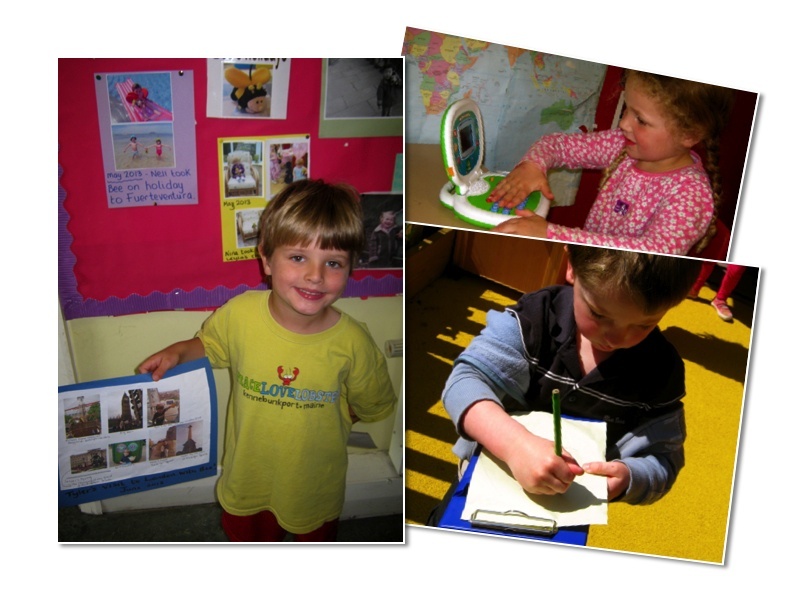 We always provide mark-making activities and when children are ready they draw and write symbols for themselves. A book area is available each session to give every child an opportunity to become familiar with books and how to handle them and enjoy them.